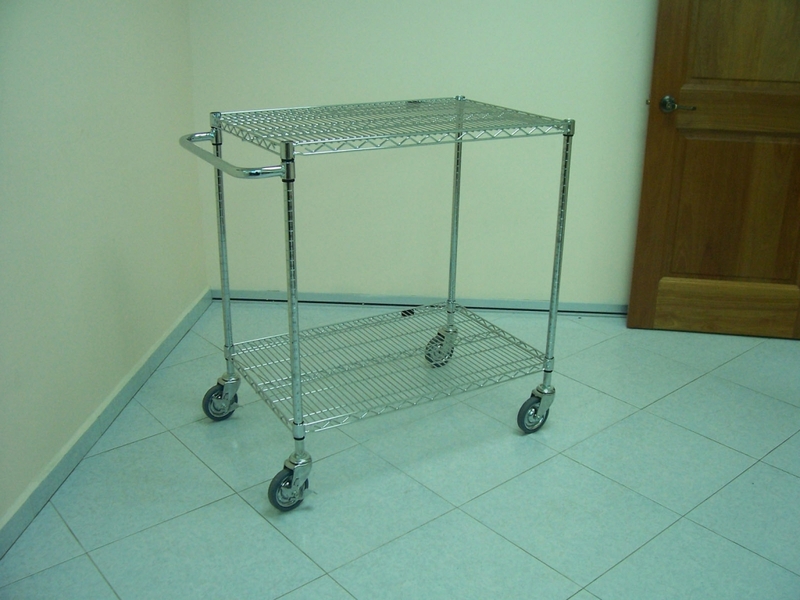 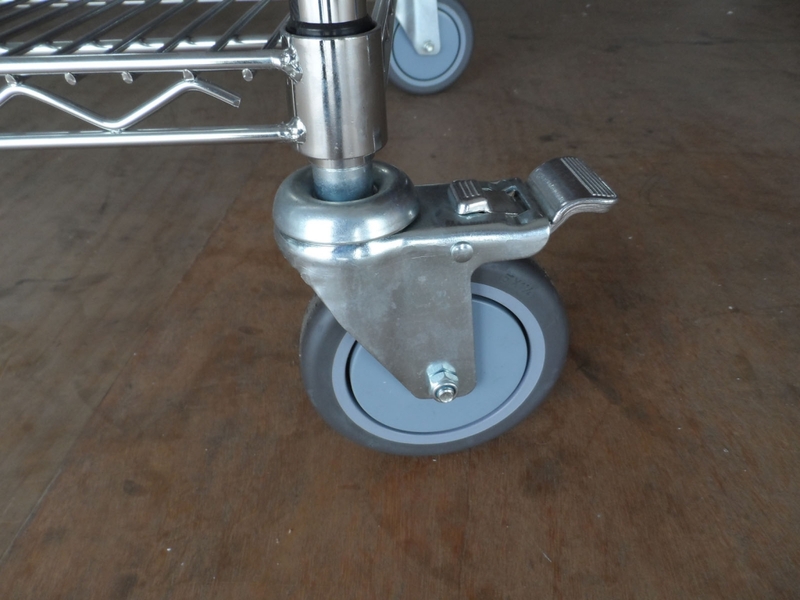 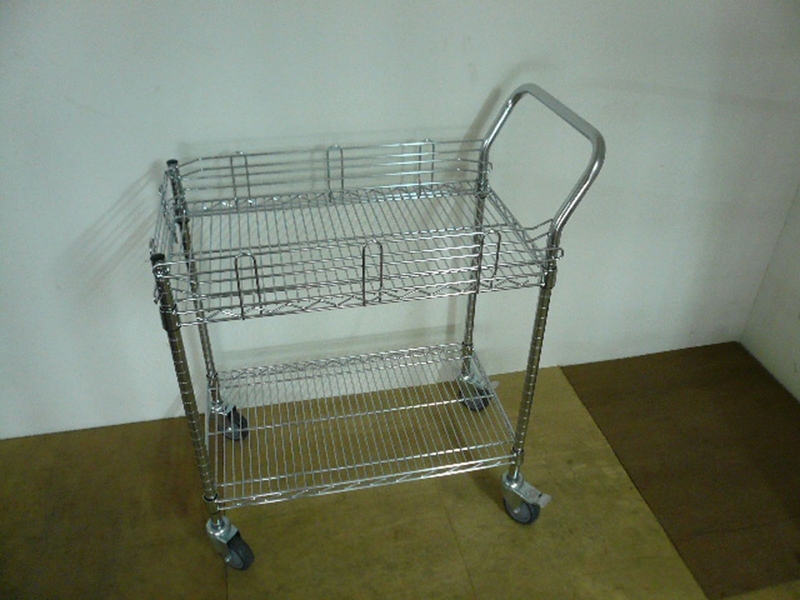 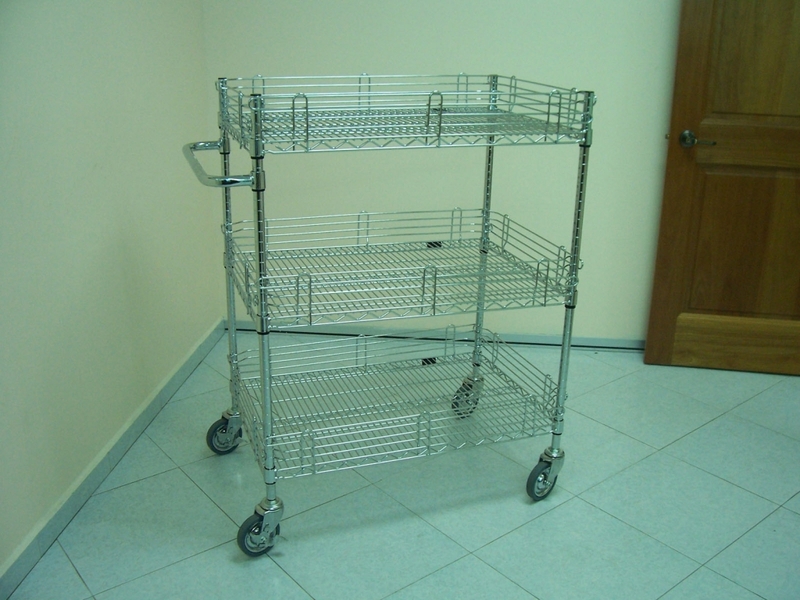 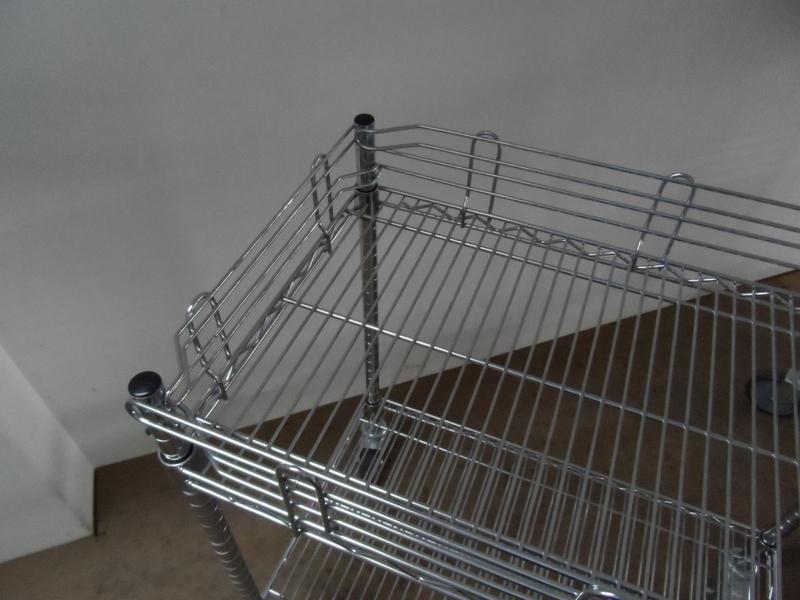 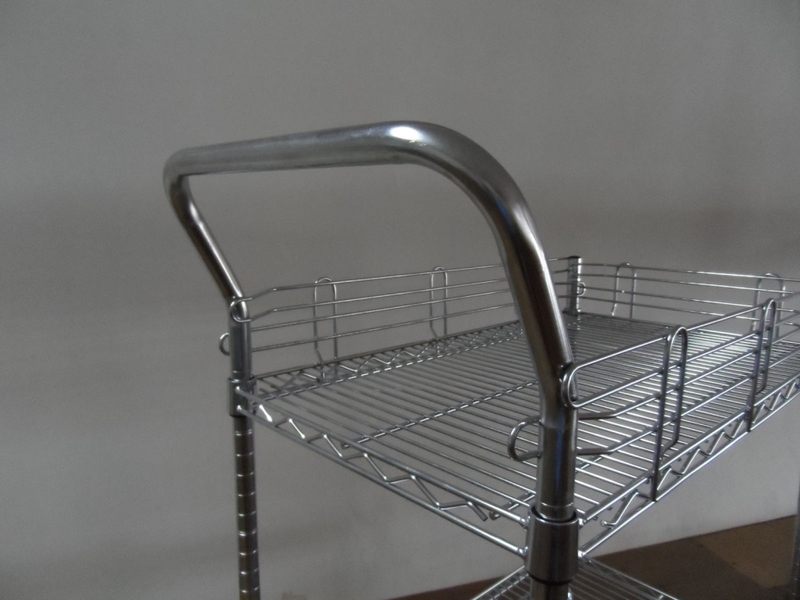 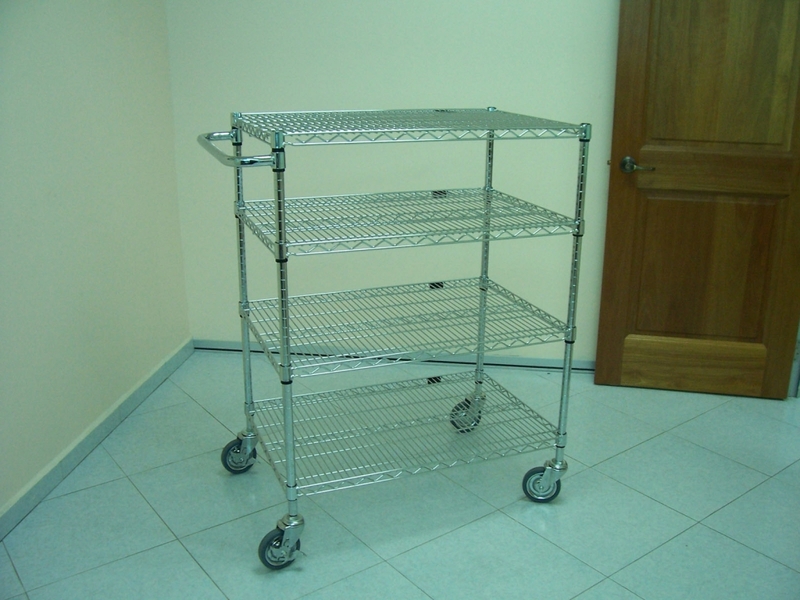 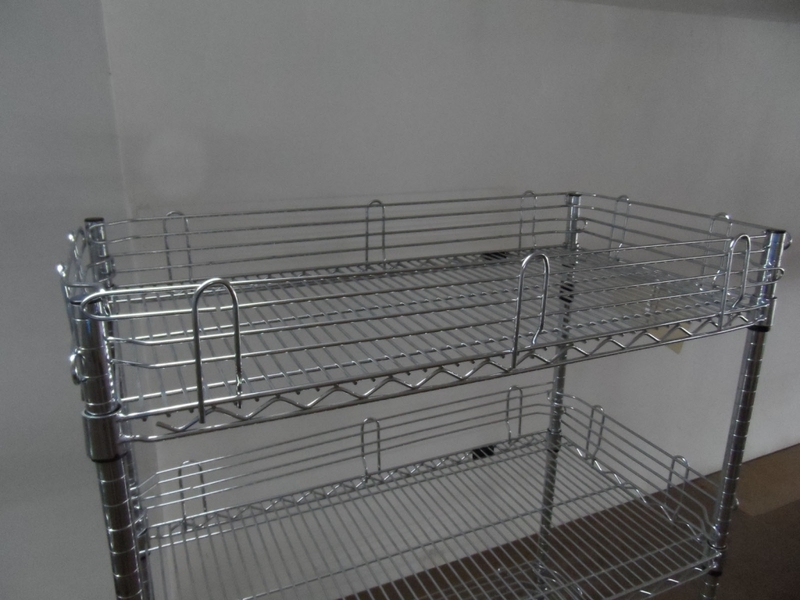 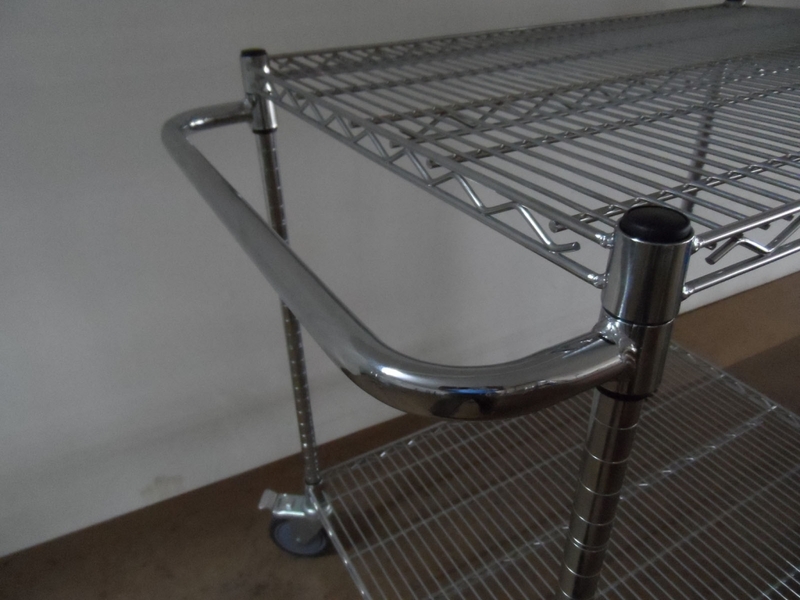 The Trolley’s platform is of a wire mesh type and comes in a chromed finish. 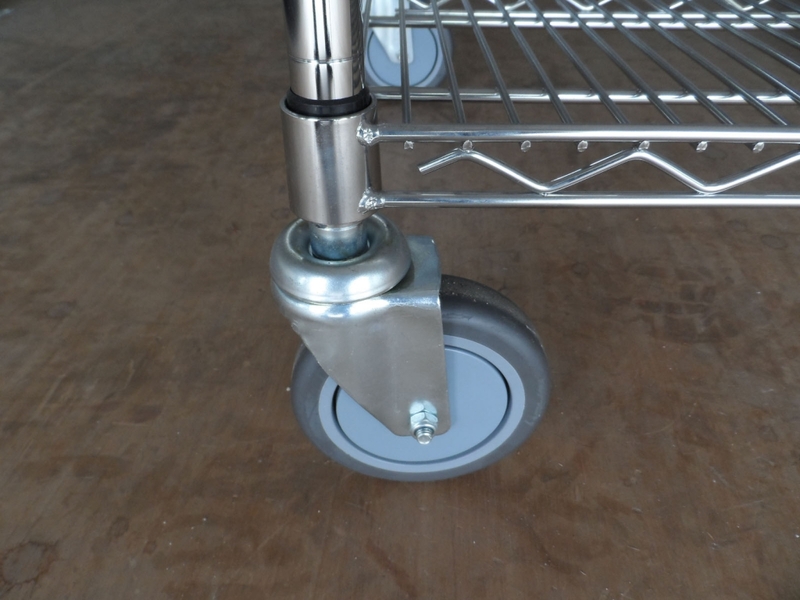 The load capacity ranges between 250 kg – 350 kg depending on the size of the castor wheels. 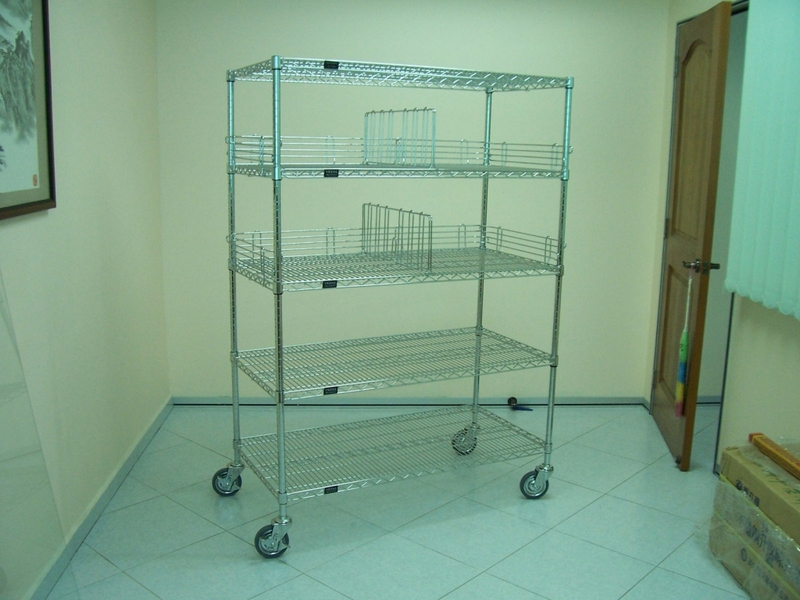 This offers a flexible set-up with many platform sizes and heights to choose from. 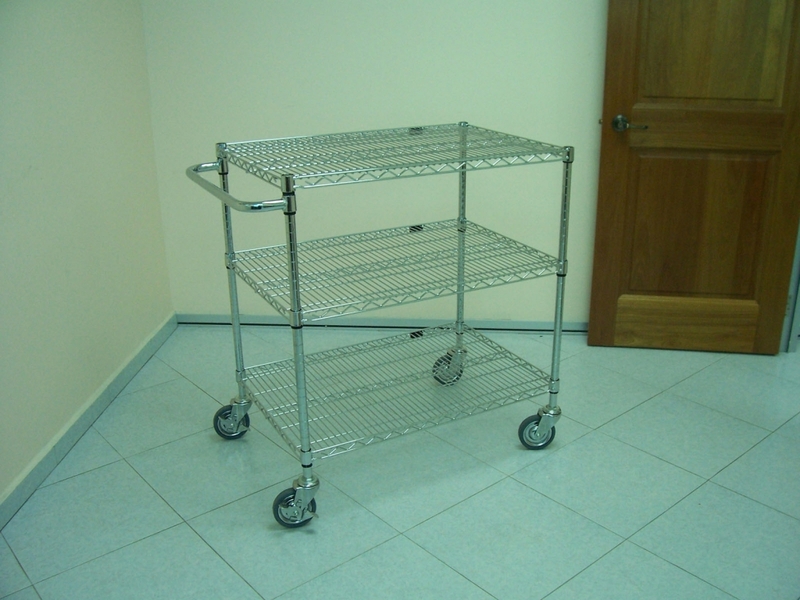 Additional platforms and accessories can be easily added to suit customers needs.